Most people know that the best travel and vacation deals are found when you finalize your reservations as early as possible. Scammers know this too and this is likely the reason why since the start of 2019, the Better Business Bureau (BBB) has already received 91 reports on Scam Tracker from across North America, with over $22.6 million lost. While only 8 of those victims are from Canada, they have lost a combined total of $61,930 CAD, with one victim alone losing $48,000 CAD. In light of this, BBB is warning the public to be wary of travel and vacation scams, particularly those encountered on social media platforms, online pop up advertisements and unsolicited phone calls. Consumers should also be wary of timeshare offers and opportunities to rent or purchase vacation properties. “Travel scams can range from flight and vacation packages with prices that are too good to be true, to scammers impersonating reputable travel service businesses and consumers submitting personal information to a fake website,” says Karla Davis, Manager of Community and Public Relations at BBB. “Many of the reports we have received show where consumers are losing over $2,500”. 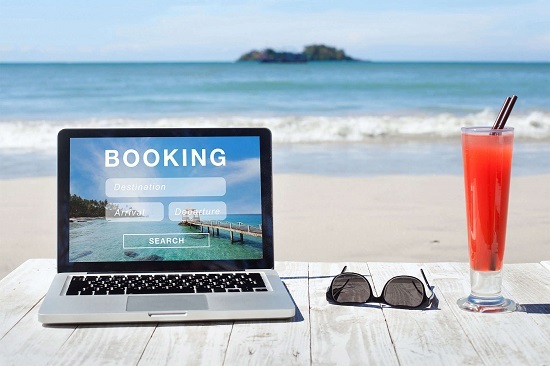 In one report, Jessica C. in BC shared that she searched online for the contact details of a reputable airline to enquire about their vacation packages. “Called the number I found and got an agent right away. Told them I wanted to price out a vacation. Gave them the info and they seemed unprofessional…They quoted me $2000 less than the website. I found that very appealing, but odd that the website is that much more… We called back and asked what business they were, as they just greeted with ‘reservations’…Finally they said they were Cheap Flight Fares. I called Cheap Flight Fares and they do not know this number”. The BBB Scam Tracker reports also mention where victims made the grave mistake of sharing their credit card details over the phone to secure travel deals. In some instances, victims also described a request from the scammer to email a scanned copy of their driver’s licence to verify the credit card. This gives the scammer a victim’s full name, address, date of birth and credit card details – a wealth of information that could lead to identity theft. Another area of concern for BBB is where con artists post listings for properties that are either not for rent, do not exist, or are significantly different from what has been advertised. They then lure in vacationers with the promise of low fees and great amenities. Typically, the scammer creates a false sense of urgency – for example, where another vacationer is interested in the rental – to get the target to make a payment before doing any research on the property. Several consumers are also being caught in a ploy where scammers pretend to be legitimate businesses that help you to rent or sell your overseas properties as vacation homes. They will provide fraudulent documents, collect confidential information about targets and request several thousand dollars under the guise of processing fees and foreign taxes. Consumers who are dealing with timeshare properties should also be very careful. With the timeshare resale con, a timeshare owner who is looking to sell gets a call from someone claiming to be a real estate broker or agent. These scammers claim to specialize in timeshare resales and promise they have buyers ready to purchase. To secure this service, the scammer pressures the target into paying an upfront fee. However, after paying, the reselling agent never delivers. “Received a phone call saying he had a buyer for Mexico timeshare. He sent a letter of intent with a price for purchase. It was much more than we paid. He started asking for a signature and copy of my timeshare agreement. When I researched the company, I found no reviews. Properties for sale on their website led to an error so you couldn’t get any information”. BBB offers these tips to help you avoid travel and vacation scams.